Rare Opportunity to own a young colonial on a cul-de-sac in North Framingham. 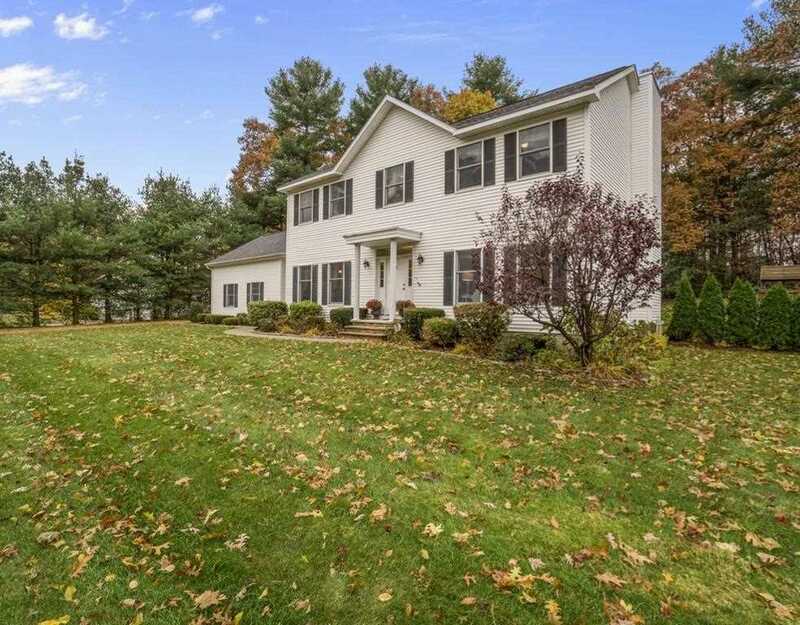 Welcome home to this impressive, move-in-ready Colonial with so many updates. The Kitchen features gorgeous cherry cabinets, granite counters,tumbled marble backsplash, a 4-person peninsula, KitchenAid appliances, and large breakfast area. The Kitchen opens into the Family Room with a fireplace, and sliding glass doors to the patio and Backyard. French Doors lead you to the Formal Living Room. Hardwood floors run throughout the first floor and second floors. Upstairs, the Master Bedroom Suite features a full bathroom with a double vanity, glazed cabinetry,tile, oil-rubbed bronze fixtures, jacuzzi tub, tiled shower, and walk in custom closet. You will find three additional bright bedrooms with a shared updated bathroom. The finished basement is a bonus! Use it as a playroom and home gym as the current owners do, or turn it into a home theatre, office, or whatever you imagine. Too many updates to list! Listing provided courtesy of Maria Romero Vagnini, Mathieu Newton Sotheby's International Realty. Real Estate Listing at 3 Eaton Pines Ln Framingham, MA 01701. Description: The real estate listing at 3 Eaton Pines Ln Framingham, MA 01701 with the MLS# 72421234 is currently listed for $697,500 and has been on the Framingham market for 67 days. You are viewing the details of the real estate listing from MLSPIN at 3 Eaton Pines Ln Framingham, MA 01701, which features 4 bedrooms, 3 bathrooms, and has approximately 2512 sq.ft. of living area.